Mr. Edwards is responsible for all VVMI operations. 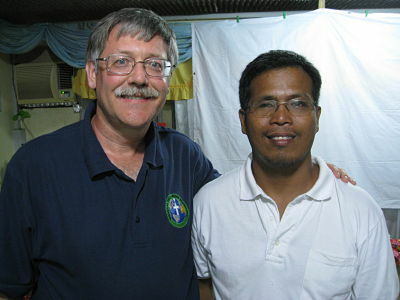 His duties include providing information and oversight for volunteer staff, short-term trip leaders, and congregational liaisons; communicating with the VVMI Board, donors, and ministry partner organizations; coordinating mission volunteer trips; and sharing about VVMI, its partner ministries, and VVMI-related projects. 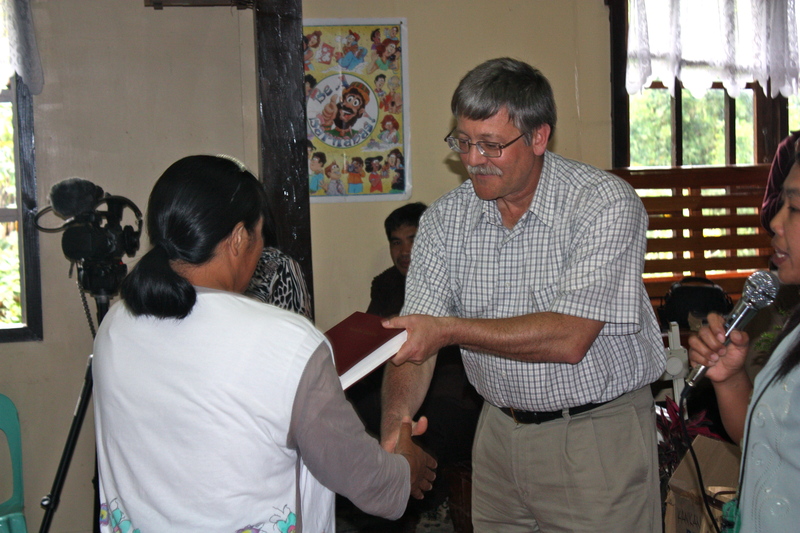 Mr. Edwards has served as Executive Director since January 1, 2007.In that time, VVMI has expanded its ministry partnerships to five: two headquartered in the Philippines cover that country; one headquartered in Guatemala and primarily covers Mexico and Central America but also provides children’s ministry resources globally; one is headquartered in Peru and primarily covers South America; and one headquartered in South Africa covers Africa and the Indian Ocean islands. Mr. Edwards’ primary goals include strengthening VVMI’s prayer ministry, increasing VVMI’s capacity for expanded partnerships as God leads, and energizing local churches and individual believers for greater participation in Great Commission endeavors with VVMI and others. In 1986, Mr. Edwards was first exposed to vernacular video ministry that was being pioneered by a Wycliffe missionary serving in the Philippines. The ministry’s purpose at that time was promoting and distributing newly translated Scriptures among ethnic minority language groups. Since the Edwards were already committed to furthering Bible translation work, learning about the effectiveness of using locally-produced videos to help “get Bibles out of the warehouse” prompted them to partner in the vision of using video technology as a means to share God’s Word. 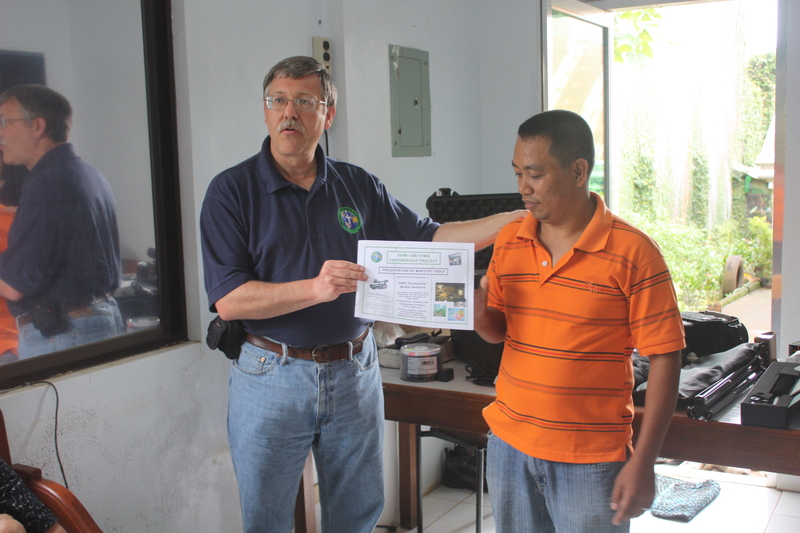 In 1994, Mr. Edwards went on his first short-term mission trip and visited one of the ministries in the Philippines as well as delivered equipment to two indigenous evangelists. He returned in 1999 to conduct a feasibility study that concluded VVMI should incorporate as a separate mission entity from Wycliffe in order to serve nationals more effectively. He also served on the VVMI Board of Directors from the time of the mission’s incorporation on January 1, 2000, until February 2006. His service on the Board included one year as secretary. Mr. Edwards earned his Bachelor of Science in Civil Engineering degree from Bradley University in Peoria, Illinois, in 1983, and became a Professional Engineer in 1990. Colin’s nearly 30 years as a civil engineer, project manager, office manager, and marketer – plus years of service in various capacities within local churches – helped form the foundation for his ministry with VVMI. He and his wife, Kathy, have one daughter and one son, and are also currently full-time care providers for one grandchild. They live in Central Illinois.